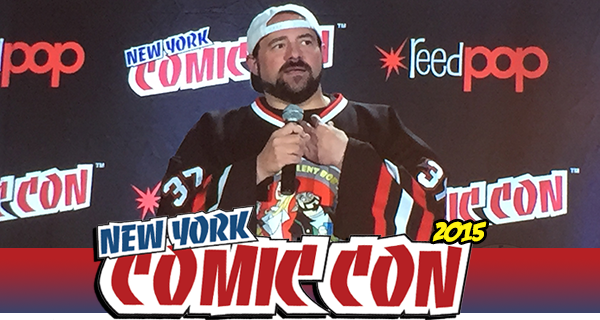 At New York Comic-Con on Thursday, the Comic Book Men panel hit the Empire Stage with Kevin Smith acting as moderator to panel members Michael Zapcic, Ming Chen, Bryan Johnson, and Walt Flanagan. 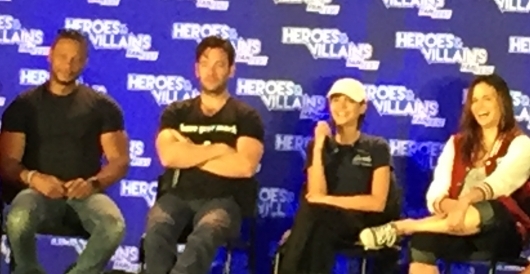 There was just so much in this panel. Check below for more, along with some photos. It is the beginning of end times. Monsters and unspeakable beasts have invaded earth from different dimensions and in response, aliens (of the classic Roswell greys kind) have abducted a man named Alan Ostman and transformed him into a beast himself – formed from a hodgepodge of Bigfoot, the Loch Ness monster, and the Jersey Devil among other creatures. His task? To find and repel this evil which is destroying Earth’s mythical monsters, who are called “cryptids” and are portals to other worlds. As we join Ostman here, he is getting used to his new position working in an interdimensional and experimental lab that will be used to hunt down his monstrous targets. When the latest capture beast escapes its confines, it kills Ostman’s lab assistant and forces Ostman to flees out into dimensional space. Here, he comes face-to-face with his missing daughter, Sammi, who sits down with him over tea to explain that the end is closer than he thinks. Do you ever get tired of the same old same old? Week in and week out, doing the same thing? Well, we are too! In fact, we’re so tired of it that we did something about. And you can too! All you need to do is listen to this podcast, as the Comics of Doom guys discuss several different topics regarding all things comics, including the state of our very own podcast, the state of comics, AMC’s Comic Book Men, and we even work in some discussion on other comics like the latest issue of The Avenging Spider-Man by Zeb Wells. It’s time to sit back, relax, and enjoy the ride as Comics of Doom makes its voyage into our newest volume.